1 1. What is Data Science? 2 2. How is it different from Big Data and Data Analytics? 3 3. Differentiate between Data Science , Machine Learning and AI. 4 What is logistic regression? Or State an example when you have used logistic regression recently. 5 5. Compare R and Python programming? 6 6. What is Linear Regression? 7 7.What is Interpolation and Extrapolation? 8 8.What is power analysis? 9 9.What is K-means? How can you select K for K-means? 10 10.What is Collaborative filtering? 11 11.What is the difference between Cluster and Systematic Sampling? 12 12. Are expected value and mean value different? 13 13. What is Machine Learning ? 14 14. How would you create a taxonomy to identify key customer trends in unstructured data? 15 15. Which technique is used to predict categorical responses? 16 16. Why data cleaning plays a vital role in analysis? 17 17. What are Recommender Systems? 18 18. Differentiate between univariate, bivariate and multivariate analysis. 19 19. What is Interpolation and Extrapolation? 20 20. What is power analysis? 21 21.What is Collaborative filtering? 22 22.What is the difference between Cluster and Systematic Sampling? 23 23. Are expected value and mean value different? 24 24. Explain the various benefits of R language? 25 25.How do Data Scientists use Statistics? 26 26. How machine learning is deployed in real world scenarios? 27 27. What are the various aspects of a Machine Learning process? 28 28.What is Linear Regression? 29 29. How is Data modeling different from Database design? 30 30. What does P-value signify about the statistical data? 31 31. What is the difference between Supervised Learning an Unsupervised Learning? 32 32. What is the goal of A/B Testing? 32.0.1 What is an Eigenvalue and Eigenvector? 32.0.2 How can outlier values be treated? 33 33. How can you assess a good logistic model? 34 34. Can you write the formula to calculat R-square? 35 35. Compare R and Python programming languages for Predictive Modelling. 40 37. Two vectors X and Y are defined as follows – X <- c(3, 2, 4) and Y <- c(1, 2). What will be output of vector Z that is defined as Z <- X*Y. 41 38. How missing values and impossible values are represented in R language? 42 39. R language has several packages for solving a particular problem. How do you make a decision on which one is the best to use? 43 40. Which function in R language is used to find out whether the means of 2 groups are equal to each other or not? 44 41. What is the best way to communicate the results of data analysis using R language? 45 42. How many data structures does R language have? 46 43. What is the process to create a table in R language without using external files? 48 45. What are with () and BY () functions used for? 49 46. dplyr package is used to speed up data frame management code. Which package can be integrated with dplyr for large fast tables? 50 47. In base graphics system, which function is used to add elements to a plot? 51 48.What are the different type of sorting algorithms available in R language? 52 49. What is the command used to store R objects in a file? 53 50. What is the best way to use Hadoop and R together for analysis? 54 51. What will be the output of log (-5.8) when executed on R console? 55 52. How is a Data object represented internally in R language? 56 53. Which package in R supports the exploratory analysis of genomic data? 57 54.What is the difference between data frame and a matrix in R? 58 55.How can you add datasets in R? 59 56. How do you split a continuous variable into different groups/ranks in R? 60 57. What are factor variable in R language? 61 58. What is the memory limit in R? 62 59.What are the data types in R on which binary operators can be applied? 63 60. How do you create log linear models in R language? 64 61. What will be the class of the resulting vector if you concatenate a number and NA? 65 62. Write a function in R language to replace the missing value in a vector with the mean of that vector. 66 63.What happens if the application object is not able to handle an event? 67 64. Differentiate between lapply and sapply. 69 66. How will you read a .csv file in R language? 70 67. How do you write R commands? 71 68. How can you verify if a given object “X” is a matric data object? 72 69. What do you understand by element recycling in R? 73 70. How can you verify if a given object “X” is a matrix data object? 74 71. How will you measure the probability of a binary response variable in R language? 75 72. What is the use of sample and subset functions in R programming language? 76 73. What are various steps involved in an analytics project? 77 74. How can you iterate over a list and also retrieve element indices at the same time? 78 75. During analysis, how do you treat missing values? 79 76.What areas of machine learning are you most familiar with? 80 77.What sort of optimization problem would you be solving to train a support vector machine? 81 78. Tell me about positives and negatives of using Gaussian processes / general kernel methods approach to learning. 82 79. How does a kernel method scale with the number of instances (e.g. with a Gaussian rbf kernel)? 83 80. Describe ways to overcome scaling issues. 84 81. What are some tools for parallelizing machine learning algorithms? 85 82.In Python, do you have a favorite/least favorite PEP? 86 83. What is Data Visualization? 87 84. What are the differences between Tableau desktop and Tableau Server? 88 85. Define parameters in Tableau and their working. 89 86. Differentiate between parameters and filters in Tableau. 90 87. What are fact table and Dimension table in Tableau? 91 88. What are Quick Filters in Tableau? 92 89. State limitations of parameters in Tableau. 93 90. What is aggregation and disaggregation of data in Tableau? 94 91. What is Data Blending? 95 92. What is Content Filter? 96 93. What are the limitations of context filters? 97 94. Name the file extensions in Tableau. 99 96. What are Extracts and Schedules in Tableau server? 101 98. How to view underlying SQL Queries in Tableau? 102 What is Page shelf? 103 100. How to do Performance Testing in Tableau? 104 101. How many maximum tables can you join in Tableau? 2. How is it different from Big Data and Data Analytics? 3. Differentiate between Data Science , Machine Learning and AI. Data Science is not exactly a subset of machine learning but it uses machine learning to analyse and make future predictions. A subset of AI that focuses on narrow range of activities. A wide term that focuses on applications ranging from Robotics to Text Analysis. A subset of AI that focuses on narrow range of activities. A wide term that focuses on applications ranging from Robotics to Text Analysis. 5. Compare R and Python programming? 7.What is Interpolation and Extrapolation? 9.What is K-means? How can you select K for K-means? k–means clustering aims to partition n observations into k clusters in which each observation belongs to the cluster with the nearest mean, serving as a prototype of the cluster. This results in a partitioning of the data space into Voronoi cells. 11.What is the difference between Cluster and Systematic Sampling? 12. Are expected value and mean value different? 13. What is Machine Learning ? 14. How would you create a taxonomy to identify key customer trends in unstructured data? 15. Which technique is used to predict categorical responses? 16. Why data cleaning plays a vital role in analysis? 17. What are Recommender Systems? 18. Differentiate between univariate, bivariate and multivariate analysis. 19. What is Interpolation and Extrapolation? 20. What is power analysis? 22.What is the difference between Cluster and Systematic Sampling? 23. Are expected value and mean value different? 24. Explain the various benefits of R language? 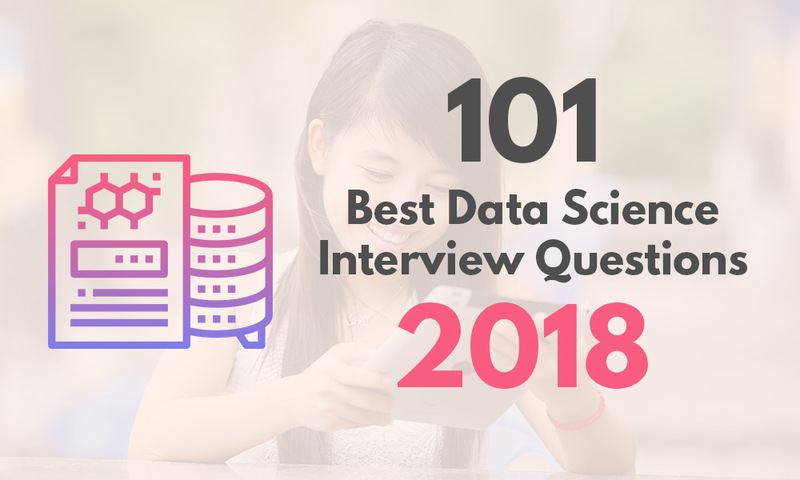 25.How do Data Scientists use Statistics? 26. How machine learning is deployed in real world scenarios? 27. What are the various aspects of a Machine Learning process? 29. How is Data modeling different from Database design? 30. What does P-value signify about the statistical data? P- Value > 0.05 denotes weak evidence against the null hypothesis which means the null hypothesis cannot be rejected. P-value <= 0.05 denotes strong evidence against the null hypothesis which means the null hypothesis can be rejected. P-value=0.05is the marginal value indicating it is possible to go either way. 31. What is the difference between Supervised Learning an Unsupervised Learning? 32. What is the goal of A/B Testing? 33. How can you assess a good logistic model? 34. Can you write the formula to calculat R-square? 35. Compare R and Python programming languages for Predictive Modelling. Community Support Not better than R. R has good community support over Python. Data Visualizations Not better than R R has good data visualizations libraries and tools. Learning Curve Learning Python is easier than learning R. R has a steep learning curve. 37. Two vectors X and Y are defined as follows – X <- c(3, 2, 4) and Y <- c(1, 2). What will be output of vector Z that is defined as Z <- X*Y. In R language when the vectors have different lengths, the multiplication begins with the smaller vector and continues till all the elements in the larger vector have been multiplied. 38. How missing values and impossible values are represented in R language? 39. R language has several packages for solving a particular problem. How do you make a decision on which one is the best to use? 40. Which function in R language is used to find out whether the means of 2 groups are equal to each other or not? 41. What is the best way to communicate the results of data analysis using R language? 42. How many data structures does R language have? 43. What is the process to create a table in R language without using external files? 45. What are with () and BY () functions used for? 46. dplyr package is used to speed up data frame management code. Which package can be integrated with dplyr for large fast tables? 47. In base graphics system, which function is used to add elements to a plot? 48.What are the different type of sorting algorithms available in R language? 49. What is the command used to store R objects in a file? 50. What is the best way to use Hadoop and R together for analysis? 51. What will be the output of log (-5.8) when executed on R console? 52. How is a Data object represented internally in R language? 53. Which package in R supports the exploratory analysis of genomic data? 54.What is the difference between data frame and a matrix in R? 55.How can you add datasets in R? 56. How do you split a continuous variable into different groups/ranks in R? 57. What are factor variable in R language? 58. What is the memory limit in R? 59.What are the data types in R on which binary operators can be applied? 60. How do you create log linear models in R language? 61. What will be the class of the resulting vector if you concatenate a number and NA? 62. Write a function in R language to replace the missing value in a vector with the mean of that vector. 63.What happens if the application object is not able to handle an event? 64. Differentiate between lapply and sapply. 66. How will you read a .csv file in R language? 67. How do you write R commands? 68. How can you verify if a given object “X” is a matric data object? 69. What do you understand by element recycling in R? 70. How can you verify if a given object “X” is a matrix data object? 71. How will you measure the probability of a binary response variable in R language? 72. What is the use of sample and subset functions in R programming language? 73. What are various steps involved in an analytics project? After data preparation, start running the model, analyse the result and tweak the approach. This is an iterative step till the best possible outcome is achieved. Start implementing the model and track the result to analyse the performance of the model over the period of time. 74. How can you iterate over a list and also retrieve element indices at the same time? 75. During analysis, how do you treat missing values? 76.What areas of machine learning are you most familiar with? 77.What sort of optimization problem would you be solving to train a support vector machine? maximize margin (best answer), quadratic program, quadratic with linear constraints, reference to solving the primal or dual form. 78. Tell me about positives and negatives of using Gaussian processes / general kernel methods approach to learning. 79. How does a kernel method scale with the number of instances (e.g. with a Gaussian rbf kernel)? 80. Describe ways to overcome scaling issues. 81. What are some tools for parallelizing machine learning algorithms? 82.In Python, do you have a favorite/least favorite PEP? Peps are python enhancement proposal. If you have a favorite or least favorite, it means they have knowledge of Python. 83. What is Data Visualization? 84. What are the differences between Tableau desktop and Tableau Server? 85. Define parameters in Tableau and their working. 86. Differentiate between parameters and filters in Tableau. 87. What are fact table and Dimension table in Tableau? 88. What are Quick Filters in Tableau? 89. State limitations of parameters in Tableau. 90. What is aggregation and disaggregation of data in Tableau? 91. What is Data Blending? 92. What is Content Filter? 93. What are the limitations of context filters? 94. Name the file extensions in Tableau. 96. What are Extracts and Schedules in Tableau server? 98. How to view underlying SQL Queries in Tableau? 100. How to do Performance Testing in Tableau? 101. How many maximum tables can you join in Tableau? Digital Marketing-The future | What aspects Do I need to Learn?